The busiest day of the year for the Solent! 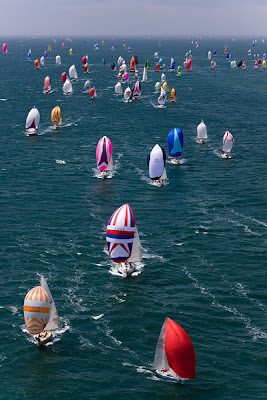 Round The Island Race sponsored by J.P Morgan Asset Management. It is the fourth largest sporting event in the UK and was first organised by the Island Sailing Club. The course is 50 miles long, starting from the Squadron in Cowes. Created to cater for smaller boats, the first race began in 1931 and had 25 entrants. Numbers slowly increased and this year there is 1647 boats taking part! Whether you are a keen racer or just want a family day out round the island race has always catered for all! Jeanette has taken part in round the island race for many years, and this year you will find her on a Grand Soleil 37 (Grand Slam). Thanks to updated technology you can now track all boat’s participating in the event. In 2010, Grand Slam came first in class, let’s hope they achieve another successful result this year! If you are out on the water today, make sure all give them a wave! 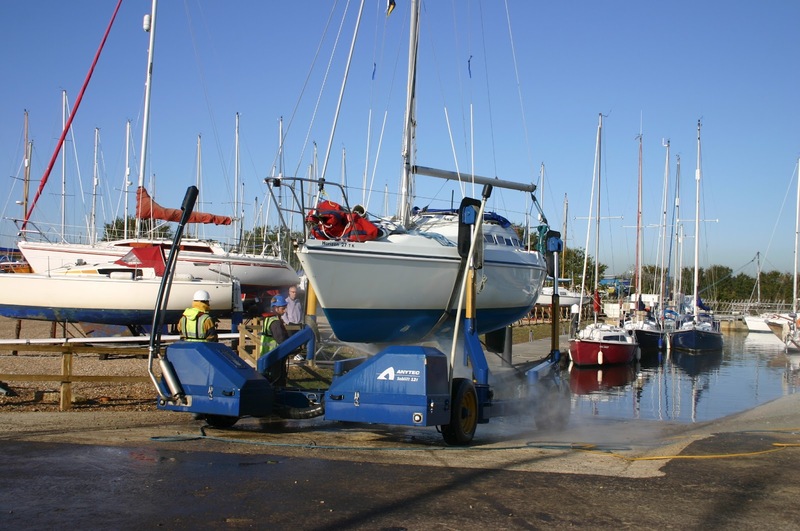 Celebrate 2012 at Thornham Marina - For just £20.12! To get in to the spirit of 2012, we will lift your boat, clean her bottom & re-launch her for just £20.12! * This amazing offer is available during July - August and includes VAT, a cup of tea/coffee whilst you wait! This is not a spam, or an April fools day joke! Our blog has not been hacked! This is a once in an Olympic year offer & not to be missed. Call Courtney or Jeanette in the office on 01243 375 335! Running from the 1st of July - 31st August. No medals awarded but your boat will be covered in glory! Whilst you wait you can enjoy a tour of the marina with a cup of tea and a slice of cake. If you have never been to Thornham before, why not book a visitor berth on our brand new pontoon's - Call 01243 375 335. If you don't need a lift out now, then give us a call and we will provide you with a quote for winter storage! Find out about our early bird offers before it's too late! We will also donate £150 to the sailing club of your choice should you winter with us at Thornham for the very first time! CALL 01243 375 335 NOW!